Note: Settle in, dear reader. Since this virtually-located post cost me real dollars in terms of photocopying exhibits and documents, it’s long. But, for those with an interest in stories of justice, governance, local politics and accountability, this may be right up your alley. Thanks, JST. If there’s anything one could immediately say that R.J. (Bob) Norton has under his belt, it’s experience. After 25 years as a police officer with the RCMP, he began a successful new career as a private investigator and security consultant that’s now spanned 15 years and taken him into far-flung Africa and South America. Fourty years is a long time to hone an investigator’s nose for trying to get at the truth of things. He’s been a hired (independent) gun for federal government before — an indication his work is a known and trusted commodity. Since 2005, Norton has also been working as an electoral officer for Band Elections and conducting investigations of elections appeals. On Mar. 16, 2010, Norton was contracted by officials in the department of Indian and Northern Affairs (INAC) to take a look into a litany of serious allegations made by man who finished 3rd in the summer 2009 election for chief of Manitoba’s Little Grand Rapids First Nation. Specifically, Norton was hired by INAC to investigate allegations some votes for the current chief and one band councillor on LGR had been ‘bought’ with plastic bottles of whiskey and cans of beer, and additionally, that an electoral officer had allegedly engaged in corrupt practices by encouraging an elder on which candidate to vote for. It was the second time in recent years Norton had been tapped to look into such allegations in the same community. 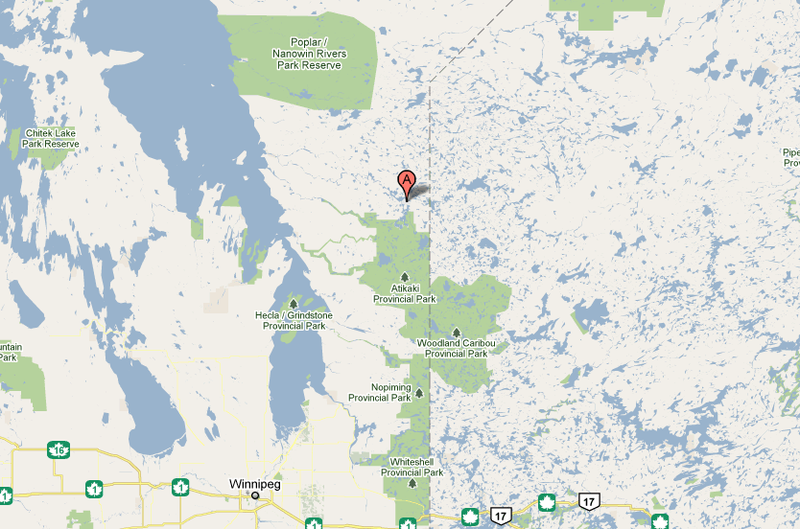 The First Nation is remote, being located about 280 kilometres northeast of Winnipeg. In summer it’s accessible only by boat or aircraft. It’s policed by members of the RCMP, Norton’s former employer. Little Grand Rapids is also a dry reserve. The community (with an on-reserve population of roughly 1,000) has been alcohol-free by statute — meaning the possession and consumption of alcohol there is illegal under the Manitoba Liquor Control Act — since 1996. Despite that, Norton’s research and experience led him to remark in a report to INAC that booze is still a major problem on the reserve. He gives an example in his report. Norton states a large bottle of whiskey and two 24 cases of beer would cost about $115 in Winnipeg. Bootlegged on the reserve, it would sell for about $400-500, he said. He asked around: An MLCC senior inspector told him the most common product imported to Manitoba’s dry reserves are 26 oz. or 66 oz. bottles of Windsor Whiskey. “The containers are plastic as opposed to heavy breakable glass and the bottles do not have long necks taking up more room in transit,” Norton stated. The allegations in this report, if proven in criminal court, could be violations of the following law. “I suggest if this was in any municipality in Canada there would be a long and aggressive investigation to gather sufficient information to support criminal charges under provincial election laws. All we need here is to show that corrupt practices “appear” to have taken place. “As the judge in the Peguis case said…. “connect the dots” (My words). “If you brief DoJ [the department of justice] and they say it is almost there… let me know what you need. INAC, however, ultimately elected to dismiss all allegations — and therefore Norton’s findings — citing a lack of evidence to support that a violation of the Indian Act or the Indian Band Election Regulations had taken place. How could that be? Didn’t the department hire Norton? We’ll get there. Read on. When Norton arrived on his fact-finding mission at Little Grand Rapids, he had 18 people, Keeper, and the current chief on his roster to talk to as witnesses. He had already talked to the local RCMP Sergeant who pledged full co-operation. But getting to the bottom of things wasn’t going to be easy, Norton immediately discovered. On arrival, the local man he had hired to act as his translator, driver and assistant in locating the various witnesses suddenly backed out. Not to be deterred, Norton managed to hire a local woman to do what others so suddenly appeared unwilling to. His first step was to investigate an allegation the chief provided alcohol to two men in exchange for their votes. Both were interviewed in Ojibway and each stated they had received nothing for their votes and the allegations were false. It was the same result when he spoke to three others in connection to separate allegations that the chief and a councilor traded booze for votes on two occasions. The woman he spoke to said she witnessed the officer tell an elder to vote for the current chief over selecting Keeper, who was also a candidate. That same day, Norton spoke with the election official at his home. He denied any wrongdoing and said he did not influence the elder to vote for any candidate. “[He] verbally admitted that he had accepted bottles of liquor from [the councilor] at a post-election party,” Norton said in his report to INAC. The woman’s granddaughter was present during the interview, Norton said. In English, she told him that the woman had actually complained the election official interfered with her vote as alleged by Keeper. Norton remarked in his report the granddaughter’s version corroborated the polling booth witness’s story. The government would later argue it was heresay (which is, technically true). That same day and into the next, Norton spoke with three other people. Each denied being given anything for their vote. However, two stated that the councilor in question “gave them small bottles of whiskey during a celebration party after the election,” Norton informed INAC. The councillor was interviewed by Norton a few days later and denied there was any such party or celebration after the election. But there was a booze-fuelled one just weeks before it, Keeper alleged. Ask the RCMP, he said. While there is a high rate of alcoholism on the reserve, Little Grand Rapids has been a “dry” reserve since 1996. The allegation that [the chief] and/or his supporters provided alcohol to electors in exchange for their votes was also submitted in the previous election held in 2007. The investigation in both instances was undertaken by Norton Security Consulting Inc. (Bob Norton). The investigator reports that there is no doubt that alcohol was distributed by [the chief] and his supporters during the election, but individuals refuse to provide the investigator with a statement for fear of losing their jobs and/or for their physical safety. In his appeal, Nelson Keeper states that “on or about July 19, 2009 a campaign party was held (by the chief) a couple of weeks prior to election day for the sole purpose of bribing people with alcohol”. On March 22, 2010, the investigator asked the RCMP why [The chief] was not charged for being in possession of liquor at the party. The RCMP reported that the local detachment was advised not to charge [the chief] from a higher authority with the RCMP in Winnipeg. On April 1, 2010, [The chief] was interviewed by the investigator in the presence of the chief’s lawyer… When asked about the above mentioned party held at Owens Store, the chief denied taking ownership of the liquor, and as such, [the chief] claimed the police report was incorrect. I pause now to tell you why you’re reading this (and hopefully you’re still here, because there’s considerably more that Norton told INAC that he found out). Recently, Federal Court Justice Douglas Campbell told INAC to go back and reinvestigate the allegations, saying their initial decision to not pursue it further was based on a “fundamental” legal error in interpreting Indian Band Election Regulations and the standard of proof regarding decisions to set aside election results. The federal court was charged with reviewing INAC’s decision to not investigate Keeper’s allegations further (as per Norton’s recommendations) nor overturn the election results. The review came at Keeper’s request. Essentially (by my reading, anyway), Justice Campbell ruled that INAC was required to make its decision about the Little Grand Rapids situation based on the proof of “the appearance of wrongdoing” and not wrongdoing proven as fact. Because as hard as Norton tried in his capacity as the hired gun independent investigator to get people to talk to him, many stated they wouldn’t out of fear for their safety and/or livelihoods in the community. Campbell, in his assessment of the case, was acutely aware of this and chided INAC and its decision-making delegate for not taking this into account. “The Evaluator [INAC’s delegate] apparently chose to apply a practice of reporting only on the basis of evidence of wrongdoing coming from persons directly involved in the circumstances of the wrongdoing, and who are willing to co-operate as a witness, well knowing [Norton] found that such witnesses could not be expected to come forward due to threat of intimidation,” he said. “This practice is not only remarkably unfair to right-minded people living on the Little Grand Rapids First Nation, but is unrealistic in the prevailing context. An investigation has been undertaken to investigate the allegations of widespread vote buying for the past two elections. It is highly regrettable that individuals are unable to substantiate these allegations for fear of losing their jobs and/or their personal safety. To reduce or eliminate the availability of alcohol to buy votes prior to the next general election, suggestion is made that Headquarters and Regional departmental staff meet with the RCMP (Superintendent, Selkirk Detachment and local detachment office on Little Grand Rapids), the Manitoba Liquor Control Board, the Department of Transportation (i.e. flights to/from LGR) and the Assembly of Manitoba Chiefs in order to develop a common strategy. But the above isn’t all that Norton told INAC he discovered in the course of his investigation. That the chief gave liquor to an alcoholic mother whose kids were in the care of CFS (but present at her home for a visit at the time) — [this came as second-hand information he couldn’t corroborate]. That a councillor delivered whiskey to band members’s homes using a car for the purposes of garnering votes. Strangely, one of the witnesses — Keeper’s sister — found herself evicted from her home and her paycheque left unsigned just days after speaking with Norton, he reported. In the case of the supposed liquor importation, Norton’s report states he was contacted by a woman who alleged she was paid $100 on behalf of the local councillor to transport people and booze (30 cases of 12 cans of Budweiser and “two or three hockey style bags which may have contained whiskey as they were very heavy.”) from a nearby airport. She told Norton she was so upset by what took place that she told a local store manager who reported it to the RCMP. “In an attempt to confirm the details of this allegation, I interviewed the two airport employees who were present at the time the flight arrived. They were working outside on a fence … Although there was some indication that they knew what I was talking about, they did not want to co-operate for fear of their jobs,” Norton said. Another person he spoke to — who was there when the flight arrived — “became emotional” when Norton contacted her. “My investigation was causing too many problems on the reserve and her husband had just been fired from his band job,” Norton reported her as saying. “She believed that he was fired because he spoke with me,” he said. Norton tried to get in touch with the pilot of the plane, but at the time of writing, she had moved away and did not immediately return his messages. “The RCMP confirmed that they had been advised of the flight, but it was several days after the incident and at the time could do nothing about it,” Norton said. The next election in Little Grand Rapids takes place in July 2011. The chief and the councillor have each denied any wrongdoing and have not been charged with any crime. The allegations made against them by Keeper and others have not been proven. The chief fought back vigorously against Keeper’s judicial review/appeal of INAC’s decision, saying the evidence Norton gathered didn’t prove anything, or in some instances was “very weak”. “[The chief], submits that INAC considered all the materials before it and came to a reasonable decision based on the evidence,” he said in an affidavit. 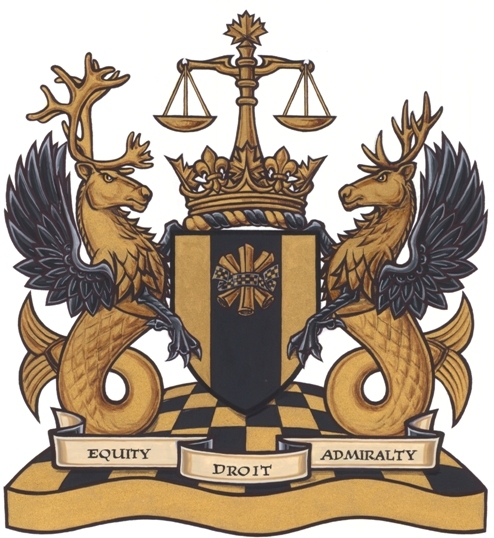 “There was no compelling circumstantial evidence of corrupt practices before INAC and no sound basis upon which this honourable court could conclude that INAC made erroneous findings of fact in a perverse or capricious manner, or with regard to the material before it,” the chief said. 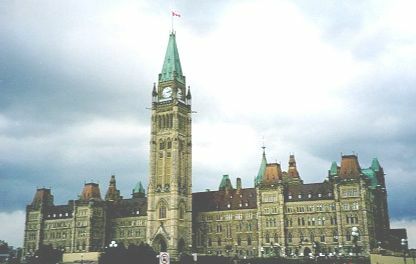 For its part, INAC — through the Attorney General of Canada — also fought the judicial review on a number of grounds, not least of which that INAC’s own investigator’s allegations of fear and intimidation in the community “were based on innuendo, speculation and unsubstantiated hearsay,” according to an affidavit filed Nov. 26, 2010. The decision to not investigate further was “justified, transparent and intelligible,” as set out by case law, lawyers for the AG said. “It was open to the minister to assess what weight, if any, to give to this evidence. “Deference should be shown to the minister’s decision to not rely upon this and other anonymous evidence. Several individuals who were interviewed by the investigator denied that anyone had contacted them or threatened them with respect to the investigation,” the affidavit said. “The minister, in accordance with the [Indian Band Elections Regulations], properly considered all of the evidence and concluded that there was insufficient evidence to establish corrupt practice in connection with the election. Without sufficient credible evidence, the minister was unable to conclude that [the councillor and chief] engaged in corrupt practice or that [the election official] interfered with voters’ voting decisions in connection with the election. The minister’s decision can be rationally supported by the evidence,” the AG stated. As we now know, the judge clearly disagreed with INAC and the chief’s positions. Although the RCMP has seized large quantities of alcohol coming into [Little Grand Rapids First Nation] by road and aircraft, they have not taken advantage of the law that permits seizure of vehicles, boats and planes used in the commission of offences. Section 103 (1) of the Indian Act permits seizure of property used in the commission of offences under the act. A judge can order the forfeiture of the property to the Crown. The Criminal Property Forfeiture Act in the Province of Manitoba could result in the seizure of planes, vehicles and boats used in the transport of alcohol in contravention of the Indian Act, the Criminal Code and the Liquor Control Act. If this is truly the case, why don’t we? Wow Really? Is anyone really that surprised?